Every year I give a nod to Fairtrade Fortnight wine and here I am again, nodding. In these next few days, thousands of people in the UK are recognising the efforts of farmers who live in some of the poorest countries in the world. The sale of Fairtrade wine directly helps workers on wine grape plantations. It helps to increase their incomes and improve their communities. There are 42 Fairtrade wine producer organisations across South Africa, Chile, Argentina and Lebanon. This network is supporting more than 5,000 people. If you buy a Fairtrade wine you’ll be helping farmers and workers. You’ll be making a difference to people’s daily lives. Cape Original Fairtrade Chenin Blanc Chardonnay (£5.49, Aldi, 12.5% abv) The grapes are grown in the Western Cape of South Africa. It is one of the Fairhills range of wines which supports Fairhills Fairtrade Projects. The project’s benefits have included childcare facilities on the farms, adult literacy schemes and a housing renovation programme. The white wine is refreshingly crisp, with notes of lemon, apple and pear. There’s a good acidity which livens the palate. Sainsbury is hugely supportive of Fairtrade. Its SO Organic Cabernet Sauvignon (£6.50, 13.5% abv) also hails from South Africa. It has a robust, welcoming, rich nose of black cherries, forest fruits, with vanilla adding a velvety softness. There’s a gentle spiciness and a hint of chocolate. Origin Wines produces and bottles the wine, which has no added sulphur. The company supports the Fairtrade Fairhills Project. 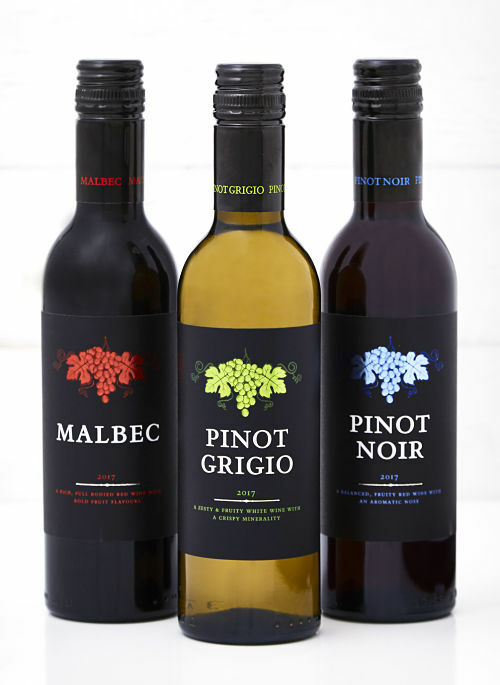 The Co-op is one of the high street’s strongest Fairtrade wine supporters. It has several wines in its range. Co-op Fairtrade Bonarda-Malbec (£5.25, 13% abv) is a tasty snip at the price. Bonarda and malbec grapes create a wine punching with plums, spice and vanilla. The grapes are grown in the Famatina valley, which is in the La Rioja region of the country. Here the La Riojana wine co-operative is the largest producer of certified Fairtrade wine in the world. The co-operative has an exclusive partnership with our Co-op stores in the UK. Sales have funded a 150,000 litre reservoir to bring much-needed water to isolated villages. You’ve helped to do that, if you’ve bought a Fairtrade wine from the Co-op. Waitrose is now stocking the world’s first Fairtrade certified vodka, FAIR Vodka (£34, selected stores and waitrose.com, 70cl). FAIR Vodka is distilled from quinoa which is sourced from a co-operative embracing 1,200 independent farms in the Bolivian Andes. The resulting vodka is smooth, spicy and fruity and would be great in martinis. Fair Vodka has the added benefit of being gluten-free.